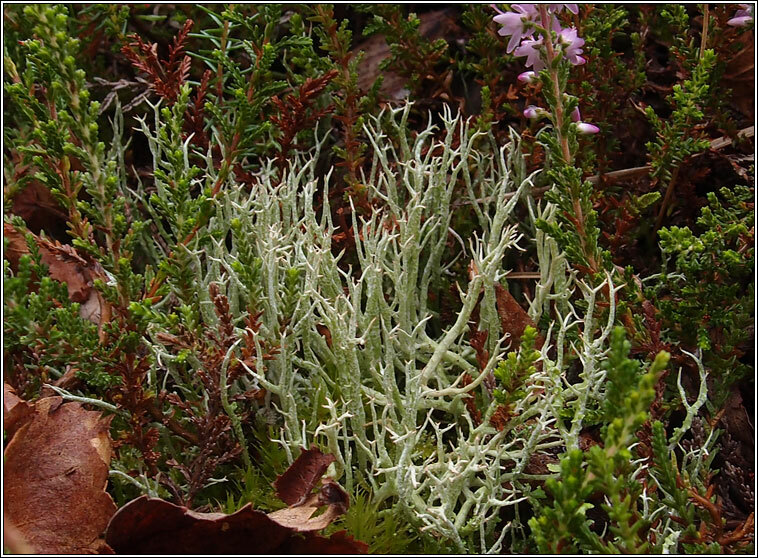 Acid heathlands, rocky outcrops, mossy stumps and woodland soil. Very variable. 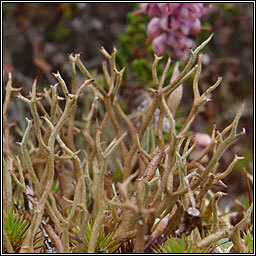 Forms loose mats of olive-green to purplish-brown-grey podetia with compact, +/- dichotomously branched tips. 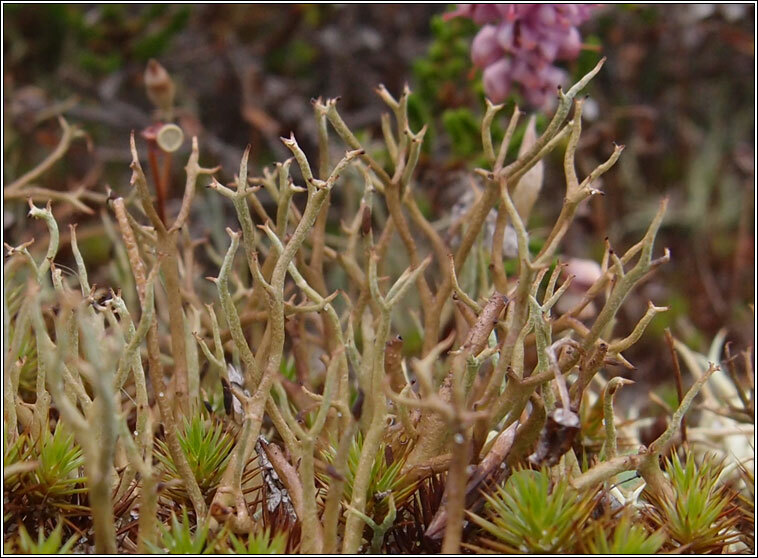 Podetia are smooth with pale reticulation, usually not squamulose. Basal squamules usually not persistent. Pycnidia and apothecia are brown.